Anyone who owns or has used an RV knows what great fun they can be. However, many campers get concerned about theft. Certain accessories for RVs are just stored on the outside, making them easily accessible to others. And you have shopped for a new deep cycle battery for use in your camper, you know those babies are not cheap! Battery theft is a crime that is being performed more and more these days. While vacationing in an RV is popular, you run the risk of battery theft. Batteries for RVs are usually located on the outside of the RV unit. Thieves are interested in these batteries because they can sell them for a profit. They are also often used for other vehicles, too, as well as to charge other devices. Most battery theft cases happen when your RV is not occupied. 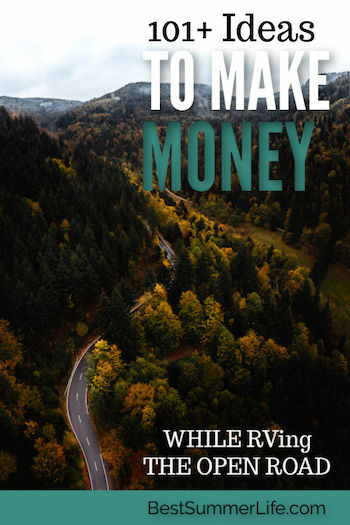 However, it’s possible that a thief could swipe your battery right under your nose—especially if you’re vacationing in a place with lots of tourist attractions that take you away from your vehicle for a whole day. If you’re leaving your RV in storage or at an RV park for an extended period of time, I highly recommend removing your batteries and taking them home with you. Otherwise, we have some other helpful tips to keep your batteries safe and secure during your vacations. Battery boxes are excellent for battery security—it’s their main purpose, after all. It’s important to get the right kind of battery box for your purposes, though. Some battery boxes are made just for storage, while others are geared more towards security. Since security is our main goal here, I’ll say that you should definitely get a battery box that locks. Most battery boxes are made from heavy-duty materials like aluminum and poly plastic. You can mount most of these boxes right on your trailer or RV’s frame as well as on camper bumper and trucks. Others attach to your trailer tongue. The locking lids ensure that no one gets into that battery box but the key holder. The sturdy design prevents break-ins, but the easy-unlock features let you get in and out quickly with no hassle. It’ll also keep your battery monitoring system safe and sound as well. Many battery boxes will come in a variety of styles, but you can purchase smaller ones for a single battery case or larger ones for two batteries. Since carrying multiple batteries is wise on an RV or camping trip, there’s a good chance a double battery box will be of use to you. Everything in your RV relies on your battery’s power, so it’s vital that you take good care of it. That means unplugging it when you close up your camper for the winter. Many people may assume it’s a good idea to store your battery inside your locked camper to prevent theft during the off season, but I’m telling you now that’s a bad idea. For one, even during the off season, your battery may require some, although little, maintenance. Batteries naturally discharge over periods of time, even when they’re not in use. If you don’t properly maintain your battery during the winter, you may find yourself needing a new one in the spring. Additionally, cold weather can severely affect your battery. Freezing can damage your battery, and a fully charged battery will do much better in the cold, but all in all, it’s best to store your battery indoors. In general, it’s best practice to check the voltage of your battery every month. If it falls below 80%, charge it up overnight. Aside from saving yourself from needing a new battery, we also mentioned earlier than most thefts happen during the off season while your RV or trailer is shut down and in storage for the winter. Since no one is around, it’s easier for thieves to sneak in and out. Not only should you not store your battery in your RV in case of a break-in, but you should also remove any other valuable items when you close it down for the season. Finally, and probably most importantly, some vehicle batteries can let out toxic and explosive gases. 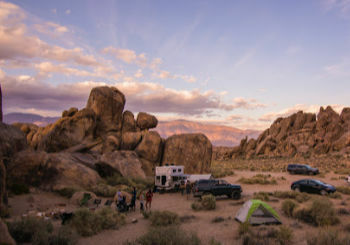 Nothing good comes out of words like “toxic” and “explosive,” so to maintain your safety and the safety of those using the RV, it’s best to avoid those risks altogether by storing your batteries elsewhere. There are several kinds of battery locks made to keep your battery safe in place on the outside of your RV. Most of these come in the form of chains, cables, and locking straps. They are very easy to use, and most sellers will claim that anyone can install them in less than two minutes—and they would be right. That being said, there’s not always a need to buy cables specific to batteries. What I mean is, many campers like to rig up their own locks by using chains and cables along with padlocks. When done right, you can properly secure your batteries in a non-locking box or where they sit on the outside of your RV. A tightly secured battery or battery box will certainly deter a thief and keep your batteries safe. Not only can you use a chain or cable lock to wrap around your battery box, but you can also lock the battery or the box itself directly to your RV or trailer. 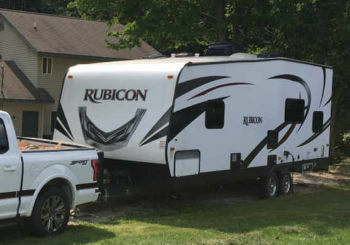 Several different RV and outdoors brands offer specially made locking chains and cables that you can buy. These are guaranteed to work and have the backing of their brand and sellers, which might give you more comfort. However, remember that you can try it on your own, using the do it yourself method. By using cables or chains that you already own, you can save money on top of the added security. The choice is ultimately up to you. I have tried both methods and have found them both to be useful and effective. Anti-theft brackets are excellent security tools that would work great on a battery. Anti-theft brackets come in many forms for a variety of items, but the ones that will work best for your battery are the metal, squared-off brackets. These durable pieces of equipment are made to go over your battery and screw into place. The arms of the bracket close off over your battery, where you can lock them securely using a padlock or lock and key. The great thing about anti-theft brackets is that there is usually more than one arm that goes around your battery. If not, the brackets still closely hug your battery, giving thieves no wiggle room to slide the battery out or even move it at all. Made typically from thin cuts of steel, thieves would have a hard time cutting through these locks without damaging the battery they are trying to steal. 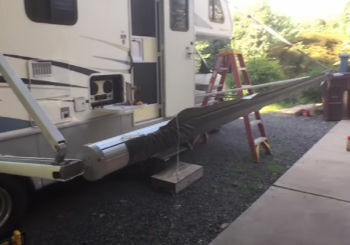 Install these brackets right on your RV for tight, secure protection. Motion lights are a classic way to send thieves of all kinds running. Criminals love to hide under the cover of night so that they won’t be seen by you, neighbors, or anyone else passing by. An excellent way to scare them off is to have a motion light that they do not know about. Standard houses in neighborhoods around the country have used motion lights for years. When someone gets too close to their property, the light detects their motion and automatically turns on. You probably already knew that, but did you know there are motion lights available specifically for RVs and trailers? 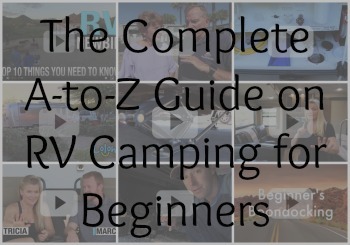 These lights are easy to install outside your RV’s door or your trailer’s front porch. Many are available in bright, LED light-style lighting to give you extra visibility. They are battery operated, which is good for two reasons. The first being that installation is much easier without having to worry about wiring or any complicated instructions. The second reason for using a battery-operated light is so you can keep it on year-round. A motion sensor light is a perfect tool for while you are away from your camper. If a thief approaches your RV during the off season and you’re not there—which is when most thefts occur—the motion light will detect them and turn on. These have the added benefit of scaring away rodents and raccoons too! At this point, a thief doesn’t know the difference between the motion light or you turning on the porch light from the inside. It also draws attention to your RV and to them, ultimately scaring them away.